If you are looking for affordable luxury in South Florida, look no further than The Point at Middle River. Located in Oakland Park, a northern suburb of Fort Lauderdale, these townhouses offer the best in South Beach design and elegance, along with plenty of space to stretch your legs. The project features 40 townhomes developed by KHovanian Homes, a nationwide leader in luxury housing development. KHovanian has developed luxury housing communities in California, Arizona, and all over the Miami Metropolitan area. 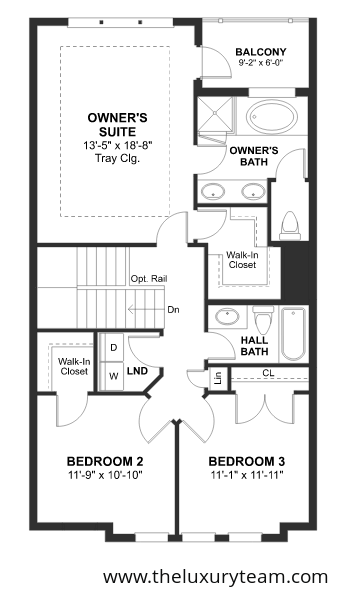 These beautiful three-story luxury units feature three bedrooms, three bathrooms, and a private terrace. Potential buyers may choose from the “Bonnet” or “Selena” floor plans, which both offer similar square footage and a 23’x6’ covered deck, perfect for lounging, cooking, tanning, or taking in expansive views of Fort Lauderdale. 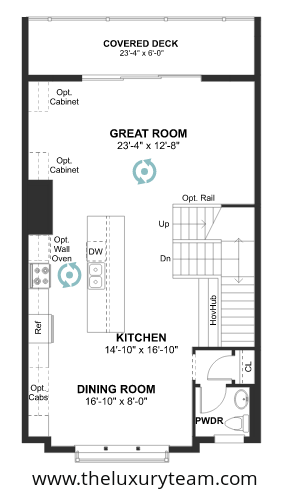 Units are selling fast now, starting in the $390s! Located on a lovely bend of the middle river, The Point at Middle River features excellent waterfront views and direct access to waterways connecting to the Intercostal Waterway and Atlantic Ocean. 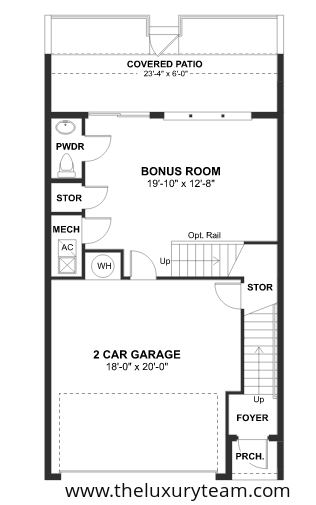 Every residence features a full sized two-car garage which can be equipped with a charging station for electric vehicles. Designer kitchens feature maple cabinetry with concealed hinges, granite countertops in a wide range of available colors, and ceramic tile flooring. 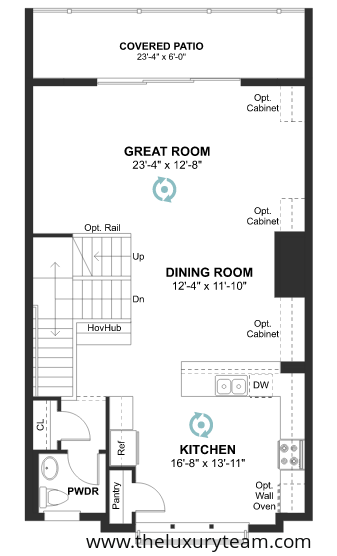 Every kitchen is fitted with Moen Arbor faucets and top-of-the-line GE appliances. Bathrooms feature full length vanity mirrors, birch wood cabinets, and a frameless glass shower. The Pointe at Middle River is being built with energy efficiency in mind: every room is fitted with Compact Fluorescent Lighting, a high efficiency air-conditioning system, and 50-gallon energy saving water heaters. The community features resort-style amenities free for the entire community and their guest to take advantage of. 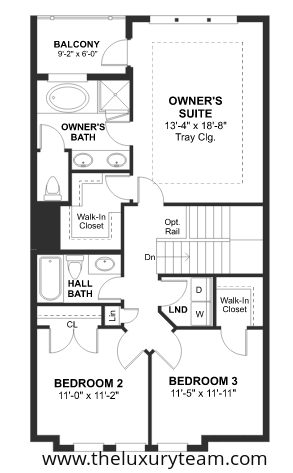 Entertain you neighbors in the clubhouse with an advanced multi-purpose room. Kick back and watch a movie on the big screen, or relax in the lounge and bar area. Get in a workout in the exercise room, equipped with the latest in state-of-the-art cardiovascular and weight training equipment. Lastly, catch some sun or go for a dip in the waterfront pool, which is sure to be the centerpiece of the community. At The Point at Middle River, security is number one, so all residences are secured with a gated perimeter, as well as secluded by water on two sides. Enjoy the canals right outside of your door and discover why Fort Lauderdale is called “The Venice of America”! 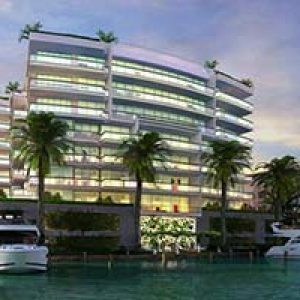 If you are looking to get a jump on what will most certainly be a growing neighborhood in Fort Lauderdale, look no further than The Pointe at Middle River. 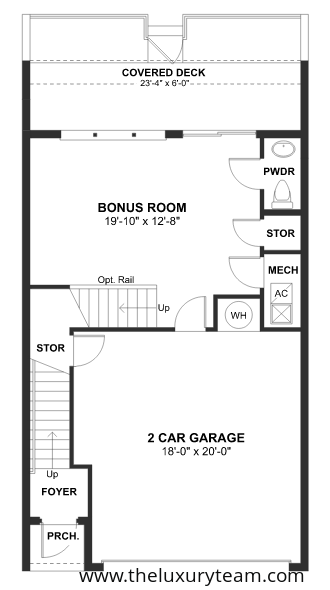 Units are about 15% accounted for, so don’t miss out on this great year-round living opportunity!